The Bonzo Dog Doo-Dah Band (also known as The Bonzo Dog Band) was created by a group of British art-school students in the 1960s. Combining elements of music hall, trad jazz and psychedelic pop with surreal humour and avant-garde art, the Bonzo Dog Doo-Dah Band came to the public attention through a 1968 ITV comedy show, Do Not Adjust Your Set. 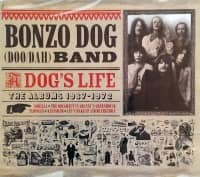 The Bonzo Dog (Doo Dah) Band's early (1966) publicity photographs implied that they were merely a reincarnation of the Temperance Seven, but interpretations of Twenties kitsch only formed part of their act. Formed by art students from several London colleges, the band began playing in pubs in 1965, and many of the members were still studying when the Bonzos moved on to clubs and cabaret in 1966. 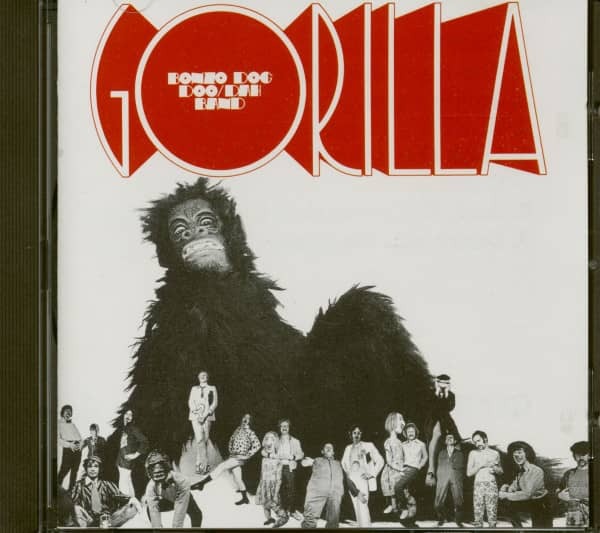 The same year, the success of the New Vaudeville Band, another group of Twenties revivalists, encouraged the Bon-zos to widen their musical range, and the result can be seen on their first, and most inventive, LP, Gorilla (Liberty, 1967), which includes characteristic Bonzo humour (`The Intro and the Outro'), Thirties novelty (`Mickey's Son And Daughter') and rock (`The Equestrian Statue'). The ;band personnel was now stabilized and the final line-up consisted of Vivian Stanshall (vocals, trumpet); Neil Innes (vocals, piano) who produced most of the band's comic and satiri-cal song material; Roger Ruskin Spear, who generally super-vised the props, dummies and robots; Rodney Slater (sax); `Legs' Larry Smith (drums); Vernon Dudley Bohay-Now-ell (guitar, banjo); and Sam Spoons (Martin Stafford) (percussion). Customer evaluation for "Gorilla (CD)"